If I Get Dentures, will I Get Teeth Right Away? If I have all my teeth extracted, will I get the teeth removed and dentures put in on the same day? How does that work, am I asleep? Local Anesthetic: Some patients prefer to stay awake for the whole procedure and just use a local so they don’t feel it. Oral Conscious Sedation: Most patients prefer this option. You take a pill that makes you very sleepy and you’ll rest throughout the entire procedure. Many patients find they don’t even remember having it. IV Sedation: Not all sedation dentists have this available. Dr. Cha is one of the few who does and is DOCS certified, so you’ll know you’re in safe hands. 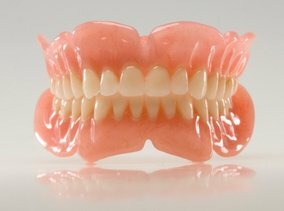 If you elect to have immediate dentures placed you can have your teeth removed and walk out with a full set of dentures that day. While the obvious advantage is having your dentures that day, there are drawbacks. As the swelling goes down they’ll come loose and need re-fitting. Often you’ll need several re-fittings and sometimes a new denture will have to be made when healing is completed six month’s later. With these, your teeth are removed and you’ll wait about eight weeks for some of the swelling to go down before your dentures are made. This has the benefit of needing fewer re-fittings, feeling better from the start, and costing less. No matter which type of dentures you choose, they both have one major drawback— facial collapse. When your teeth are removed, your jawbone begins shrinking. The reason for that is the redistribution of the minerals. Your body recognizes there are not longer any tooth roots there and assumes the bone is no longer needed. It reabsorbs the minerals to use elsewhere throughout your body. Eventually, you lose so much jawbone, you don’t have enough left to keep your dentures in. If you get dental implants, it protects you from losing that bone structure. It does that by implanting a prosthetic root into your jaw bone. Then tops it with a porcelain crown. Your body recognizes the root and leaves the minerals where they are. For added benefit, they’re much more secure and more like having your own natural teeth back again. This blog is brought to you by Dr. Jerome Cha. Please Tell Me I Have Options Other Than Dentures? I’ve stopped crying long enough to write you. I’m 28 years old. My parents never took me to the dentist. I didn’t really think about it much until last week when my new job told me I had dental insurance. That was kind of exciting. So, I was thrilled to get to go to the dentist for the first time. That feeling quickly turned from elation to despair. He told me that my teeth were a wreck and he should pull them all and replace them with dentures. He really pressured me to do it right then. I was in shock. Dentures! At my age! I burst into tears. That’s when he grew impatient and said, “What did I expect when I neglected my teeth my entire life.” I got angry and walked out. I haven’t neglected my teeth. I brush AND floss everyday, which people who have been to the dentist don’t do. Also, how was it my fault my parents couldn’t afford to take us to the dentist? Is there any chance he’s wrong? I’d think if my teeth were in that bad of shape, I’d know somehow. Wouldn’t I be in pain or even see cavities? If he’s not wrong, are dentures my only option. Please help me! Wow! I’m not sure what to say. Mostly, I feel sorrowful that your first experience with the dentist was this negative. Not all dentists are as grumpy as the one you experienced. And they certainly would not have such a pessimistic attitude about your dental health. You may not feel this way right now, but there is hope. In fact, I’m pretty sure you won’t need dentures at your age. I have no idea why your dentist just jumped right to dentures. That’s generally an absolute last resort, even if you do have to remove all of your teeth. The first step for you is to get a second opinion and see what the true condition of your teeth is. Most dentists will make it their first priority to save as many teeth as absolutely possible. If you do need to have some teeth removed, dentures won’t be their top recommendation. There are several alternatives to dentures. Most of which are a better option. This is the ideal tooth replacement. As you can see from the image on the left, this puts a prosthetic tooth root into your jawbone to stabilize a dental crown. The crown serves as the visible part of your teeth. The stability of the implant allows you to eat, drink, and care for your teeth as you normally would. 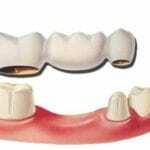 Another good option is a dental bridge. It uses the teeth on either side of the extracted tooth to anchor your new false tooth. These are especially useful when the adjacent teeth are needing crowns to begin with. It’s a little less expensive than dental implants as well. Is my dentist just trying to get more money out of me? I need to get dentures. It’s obvious I’m losing all my teeth. I’m fine with getting dentures, but my dentist keeps telling me all these horror stories about the dangers of dentures and why I need to get dental implants. My father wore dentures and did just fine. I know dental implants cost more. Is he just trying to get more money out of me or is what he’s saying true? 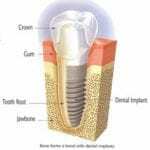 I don’t know exactly what your dentist has been telling you, but I can say with confidence that dental implants are by far a better treatment than dentures if you can afford them. All of these things can be solved by dental implants. If I were in your place, and could afford it, I’d choose dental implants over dentures hands down. 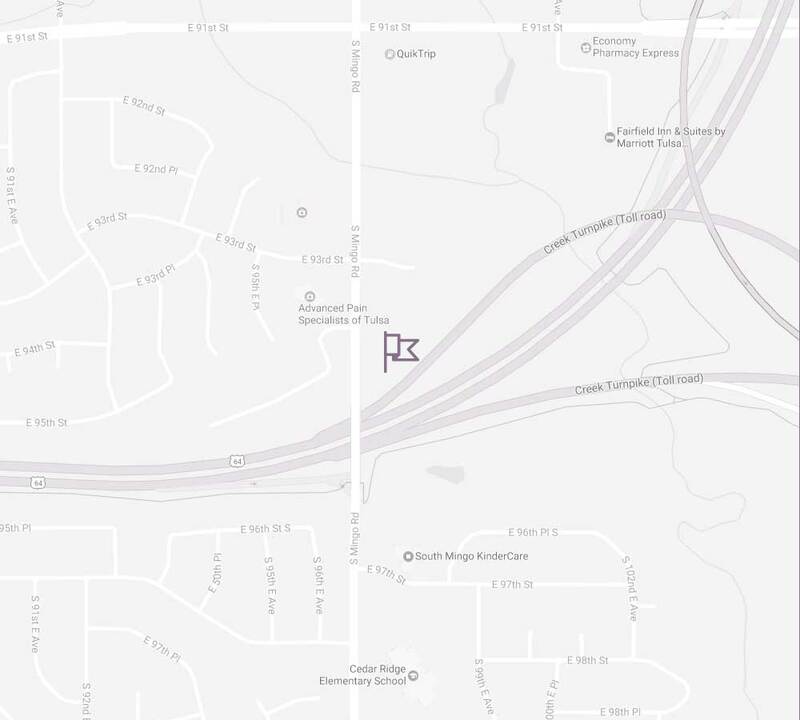 This blog is brought to you by Tulsa Cosmetic Dentist Dr. Jerome Cha.